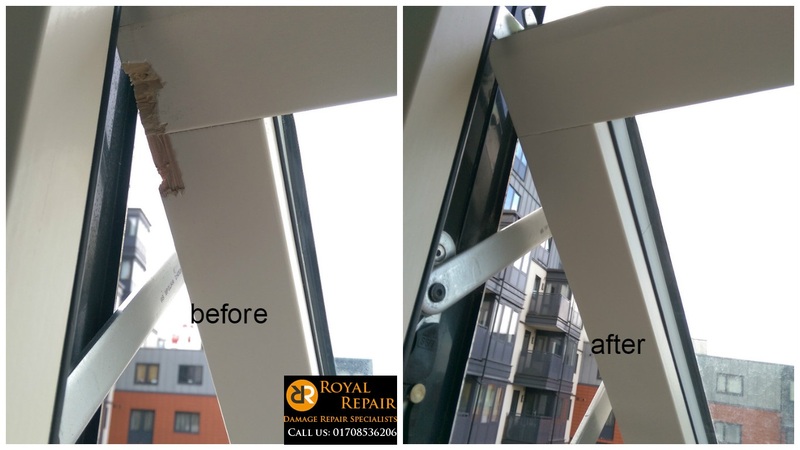 We had to repair this badly damaged window frame in West London. Flat is being let and landlord needed emergency damage repair service. Future tenants will enjoy living in this nice and tidy flat, in Hayes. We repair any kind of window frames: Wooden, Aluminium, UPVC, Powder coated.. Using unique repair methods we make those chips, dents, scratches or any other damages disappear same day, you don’t need to replace your damaged windows frames anymore!